UNITED NATIONS, Apr 17 2015 (IPS) - The United Nations, which is providing humanitarian aid to over 50 million refugees worldwide, is struggling to cope with a new crisis in hand: death and destruction in Yemen. “Thousands of families have now fled their homes as a result of the fighting and air strikes. Ordinary families are struggling to access health care, water, food and fuel – basic requirements for their survival,” he warned. “We have just launched the flash appeal [for 274 million dollars] and hope the response will be generous,” he said. But the United Nations is appealing for more funds to reach its eventual target of 8.4 billion dollars by the end of 2015. According to the United Nations, the conflict in Yemen escalated significantly last month, spreading to many parts of the country. Air strikes have now affected 18 of Yemen’s 22 governorates. And in the south, conflict has continued to intensify, particularly in Aden, where widespread fighting continues, including in residential neighbourhoods. The conflict is taking a significant toll on civilians: 731 people were killed and 2,754 injured, including a large number of civilians. The number of food insecure people has increased from 10.6 million people to 12 million; at least 150,000 people have been displaced; food prices have risen by more than 40 percent in some locations; and fuel prices have quadrupled. Lack of fuel and electricity has triggered a breakdown in basic water and sanitation services, according to the latest figures from OCHA. The most urgent needs include medical supplies, safe drinking water, protection, food assistance as well as emergency shelter and logistical support, he said. He said the U.N. children’s agency UNICEF, the International Committee of the Red Cross (ICRC) and others have managed to get planes in. Bit it’s very difficult in an active combat zone, he added. “What is obviously critical in order to enable our humanitarian colleagues and our humanitarian partners to do their work is for all the parties involved in this to halt the violence and to create an atmosphere, not only where they can go back to the political table, but also to allow humanitarian aid to go in,” he added. A coalition of Arab nations, led by neighbouring Saudi Arabia, has continued with its air attacks on Yemen, where the country’s president has been ousted by rebel forces. 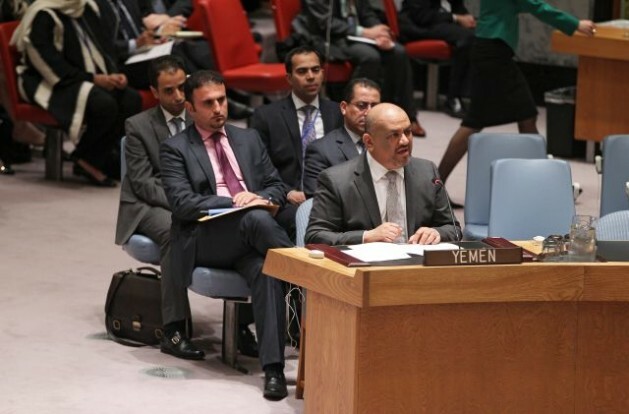 Early this week, the U.N. Security Council adopted a resolution by 14 votes in favour and one abstention (Russia), placing an embargo on arms and related materiel to rebel forces, primarily the Houthis. The Council demanded that all warring parties, in particular the Houthis, immediately and unconditionally end the violence and refrain from further unilateral actions that threatened the political transition. The 14 members of the Council also demanded that the Houthis withdraw from all areas seized during the latest conflict, relinquish arms seized from military and security institutions, cease all actions falling exclusively within the authority of the legitimate government of Yemen and fully implement previous Council resolutions. Meanwhile, the U.N. High Commissioner for Human Rights, Zeid al Hussein, appealed to the warring parties to ensure that attacks resulting in civilian casualties are promptly investigated and that international human rights and international humanitarian law are scrupulously respected. The High Commissioner said a heavy civilian death toll ought to be a clear indication to all parties to this conflict that there may be serious problems in the conduct of hostilities. The High Commissioner also warned that the intentional targeting of civilians not taking direct part in hostilities would amount to a war crime.